LG has announced that its HR 400 Blu-ray player will hit the shops in the UK this month. 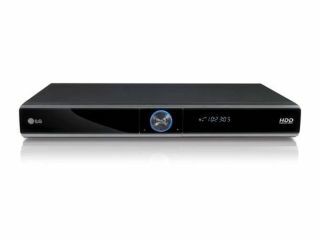 The Blu-ray player has a number of interesting features, including the ability to stream YouTube content straight from the player and the inclusion of a built-in 160GB hard disk drive. The player also has a Freeview receiver, so you can choose from 40 digital Freeview channels and pause, rewind and store them as you would with a Sky+ box. The player also makes use of an eight-day EPG and will upscale any standard-def footage you throw at it (ie DVDs) to 1080p. And for those who like to get their content form the net, the LG HR400 will also recognise DivX files, because it is nice like that. The LG HR 400 is available to buy at the end of July for around £350. For more information, click on www.lge.com/uk.